Powtoon is an awesome online SaaS internet application. 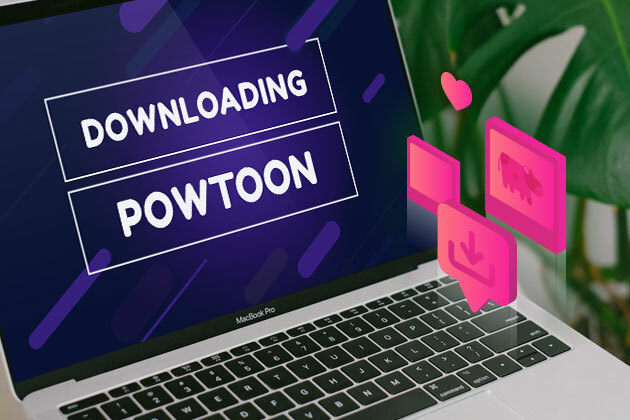 As such it can not be downloaded to your desktop at this time, and all creation within Powtoon is done completely online. However, if you are a premium account holder (Pro, Pro+, Agency, or Enterprise), you can download your finished videos and presentations as an MP4 to your desktop and present them anywhere! This is a free download in HD option (1080p) that we offer to our premium users only, so if you want your awesome videos on your desktop as an MP4 file this is the time to Upgrade Now! Getting Your Awesome Video Started Is Easy as 123! !